Decommissioned jailhouses have found second lives as museums, haunted houses, even luxury hotels — but Skowhegan’s lockup-turned-gristmill might be a first. The three-story, 14,000-square-foot edifice, once drab and utilitarian, looks decidedly Wonka-fied since Maine Grains moved in. A crisscross of yellow blocks, funnels, and chutes now adorns the redbrick building’s exterior — and though the contraption’s function is rather plain (dust collection), the look is whimsical, attracting the curiosity of passersby. Inside, the impenetrable walls of the former clink echo with a loud industrial hum as a jumble of machines sets about vacuuming, cracking, cleaning, sorting, grinding. 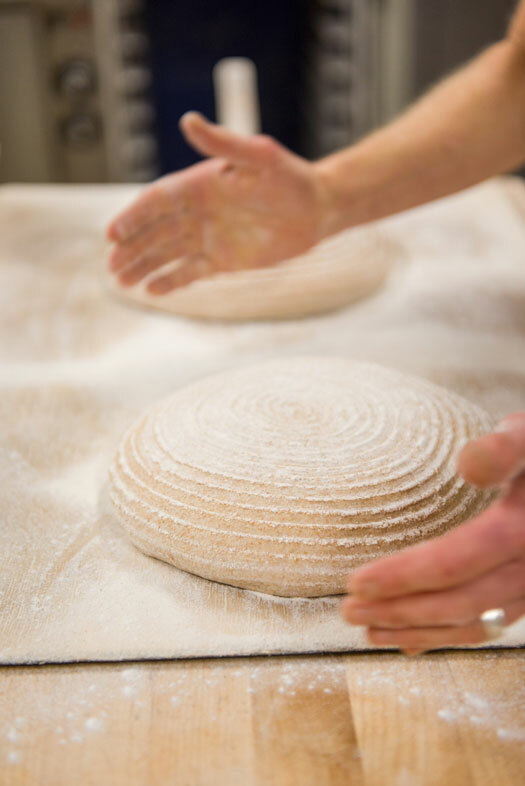 It’s a complex operation to turn locally grown, organic grains into flour via a traditional stone-milling process that, relative to large-scale industrial milling, better preserves nutritional value. Maine Grains co-founder Amber Lambke didn’t have a background in farming or food before opening in 2012; she used to be a speech pathologist. But there was, perhaps, an element of predestination: She’s since learned from a German baker that her maiden name, Kerner, comes from the German word for kernel. “I had this funny, tingling moment of realizing that this is where my life has gone,” she recalls. Now, her company provides a variety of grains to high-end restaurants and bakeries from Maine to New York City. 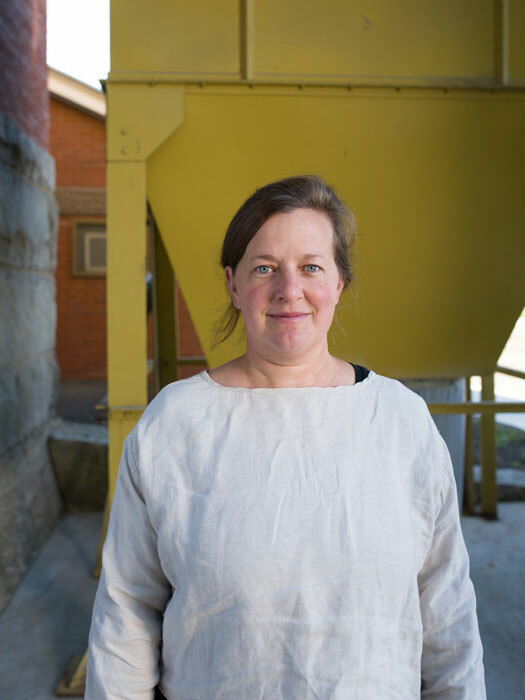 Lambke, originally from Brunswick, began her journey into rye, oats, and wheat when she got involved in the revitalization of Skowhegan’s downtown, helping to plan the annual Kneading Conference and Artisan Bread Fair, a series of speakers, presentations, and workshops geared toward reinvigorating a Maine tradition of grain production. “We realized central Maine wasn’t going to play a part in Maine’s rebirth of a grain economy if we didn’t have processing infrastructure,” Lambke recalls. In the 19th century, Maine was the breadbasket of the Northeast — during the Civil War, its grain harvests fed the Union Army. But as the country moved west into the plains, so too did grain production. By the time Lambke became interested, the only processing infrastructure left in Maine was in Aroostook County. 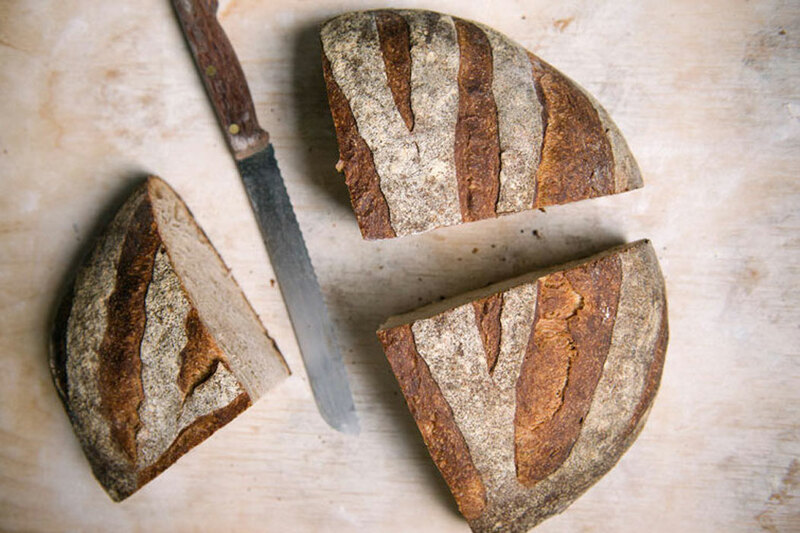 When Lambke met Michael Scholz, a baker who’d been using local grains at his Albion Bread Company since 2004 and had recently begun experimenting with growing heritage grains in his own fields, the duo decided to team up and see what it would take to bring a piece of that lost processing infrastructure — a gristmill — back to their corner of the state. 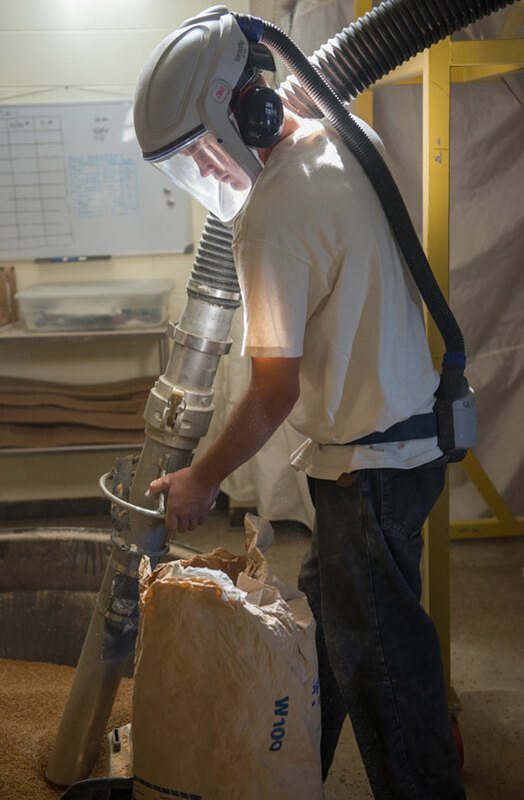 Masks protect staffers from flour dust when they’re hoovering grain from one storage area to another. Stone-milling and organic-grain production are dying arts. Americans almost exclusively consume mass-produced grains from transnational corporations like Cargill and ADM. So, to learn the craft, Lambke had to travel abroad to Quebec and Denmark, where local production had already experienced a resurgence. On those trips, Lambke got to see mills in action, study the work of the farmers, and put the pieces of a business plan together. Back in Skowhegan, she and Scholz put down their own money, on top of several gifts and grants, in order to cover start-up costs. 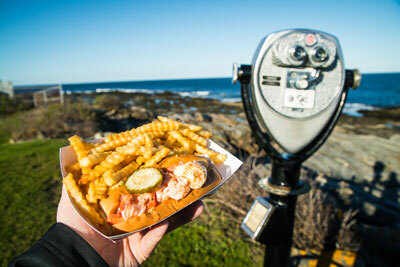 Since opening four years ago, Maine Grains has continually expanded. Now with 10 employees, the company doubled sales in the past year. 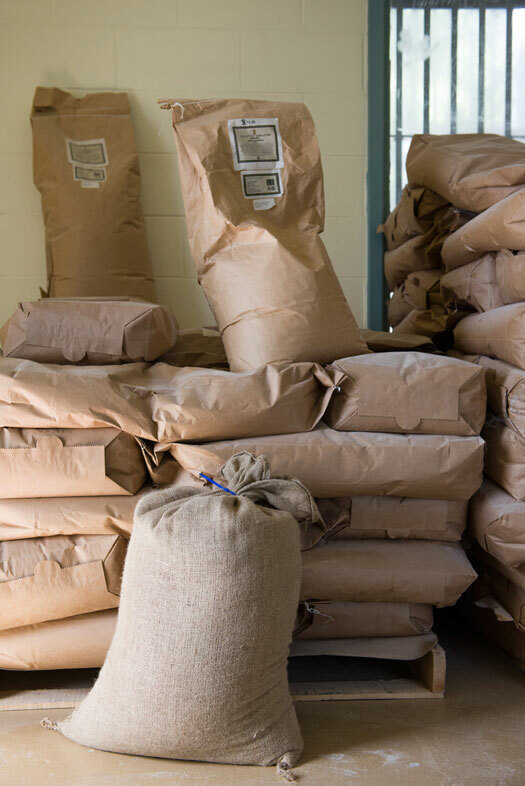 For the wider Skowhegan community, Maine Grains isn’t just a new employer, it’s an engine of transformation, helping to remake the town as the hub of a statewide grain renaissance. 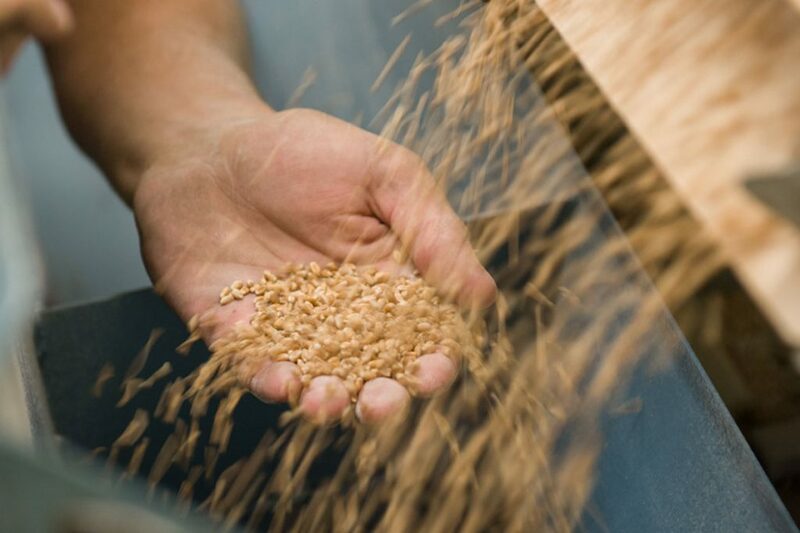 The company’s grains have a ripple effect, finding their way into everything from livestock feed to mushroom substrate (oat hulls or flour byproduct become a medium for growing fungi) and craft beer (Maine Grains’ raw wheat was recently used in Allagash’s Sixteen Counties). That relationship to other local industries is part of the business model that has made the company a success. 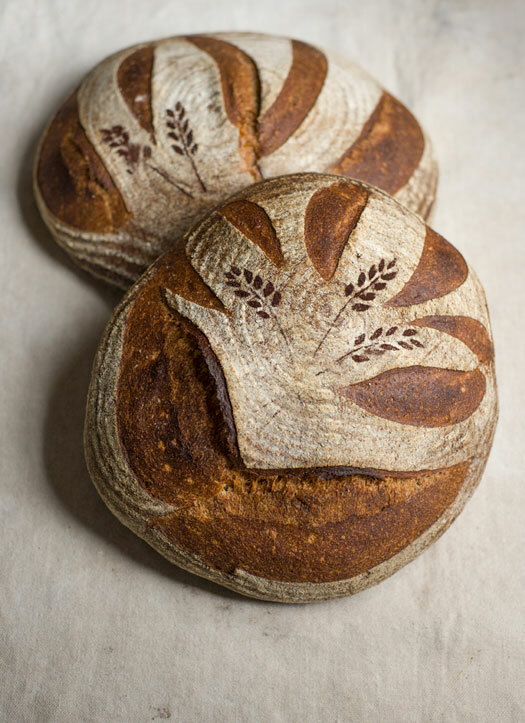 Lambke may have gotten into this industry for the love of artisanal bread, but she also understood that Maine Grains makes good economic sense. She cites a Brookings Institution report that came out around when she started thinking about the grain biz. The gist, she says, was, “Hey, focus on economic clusters. So some of us in Skowhegan looked at this saying, ‘Well, grains is a cluster, right?’ You need farms, you need mills, you need bakers, you need brewers. There are lots of opportunities there.” And on top of that, it made sense to tap into an abundant resource: farmland. “If affordable and open land is one of our assets here, we need to be thinking about agricultural businesses,” she says.